Legislation: statutes and regulations provide employees with certain minimal rights. Israel lacks a constitution and has Basic Laws instead, which are superior to regular laws, including the Human Dignity and Liberty and Freedom of Occupation Law. Collective bargaining agreements: either specific or general. The latter may be extended by an order of the Minister of Economy to additional groups of employers and employees, or to all employers in the economy. Employment contracts: provisions of employment contracts will not be enforceable if they are inferior to those prescribed by law. Where several legal sources apply to an employee, the one that is most beneficial governs. The primary means for resolving employment disputes are through the labour courts, parity committees (mostly established by collective bargaining agreements), internal courts that exist in several fields, arbitration and mediation. The enforcement of employment laws may be conducted by several organisations and mechanisms, such as by the Enforcement Unit of the Ministry of Economy, specific legislative authorities, state authorities and the courts. Pursuant to a collective agreement, which was extended to the entire market by way of an extension order, effective as of April 2018, the length of the working week has been shortened by one hour (from 43 hours to 42 hours). The day of the week that is shortened by one hour is determined by the employer, according to its needs, and insofar as possible taking into account the employees' requests and needs. Following the amendment, an employee who is required to perform work that exceeds the duration of the shortened day owing to the employer's business needs, will be entitled to receive overtime payment for the hour lost. To reflect this, the government increased the amount of overtime that employees may perform per week, from 15 hours to 16 hours. Employees who, prior to the entry into force of the extension order, worked 42 hours or less per week, will not be entitled to an increase in their salary or any other change in the terms of their employment owing to the shortening of the working week. The Hours of Work and Rest Law 5711–1951 (the Hours of Work and Rest Law) was further amended in June 2018, to, among other things, cancel the distinction between employees who observe the Jewish Sabbath and those who do not. Any employee (indiscriminately) may choose not to work on the weekly rest day. The amendment entered into force on 1 January 2019. Under these circumstances, employees who do not wish to work on the weekly rest day are not required to provide an affidavit regarding their religion or declare that they observe the Jewish religion. According to the amendment, an employee whose employer requires that he or she work on the weekly rest day, or that intends to require such work, can inform the employer, no later than three days from the date of the requirement, that he or she does not agree to work then. Likewise, employers within recruitment processes are forbidden from turning away candidates for the sole reason that they informed the employer upon their acceptance to work that they refuse to work on the weekly rest day, and the employer cannot require these candidates to commit to work on the weekly rest day as a condition for acceptance to the position. The amendment does not apply to workplaces that are entrusted with maintaining public safety, or that are related to public safety, the hotel industry, the production or flow of electricity, or the existence or provision of essential services; or workplaces that have received a general permit issued by a committee of governmental ministers, in accordance with Section 12(B) of the Law. Employers that intend to ask their employees to work on the weekly rest day, must inform their employees (including their existing employees) of this intention. In an appeal in the matter of Lilian Landsberg,2 the National Labour Court furthered the trend towards eliminating, as far as possible, an employer's involvement in its employees' choices with respect to pension savings. In this matter, it was determined that Section 20 of the Law for Supervision of Financial Services (Provident Funds) 2005 (the Supervision Law) expresses a fundamental principle in relation to pension savings, which is the full freedom of choice given to an employee to determine the type of pension product he or she prefers, the company that will manage the funds and the investment track in which the funds will be managed, without the employer being able to intervene in these decisions. Accordingly, employees are entitled to choose the manner in which their pension savings will be accrued, in accordance with, first and foremost, the Supervision Law. According to the National Labour Court, the freedom of choice set out in Section 20 of the Supervision Law overrides the provisions of the Extension Order for Comprehensive Pension Insurance in the Market.3 Furthermore, just as the employer does not have to check what the employee does with his or her salary, it is also not allowed to interfere with what is done with the funds that it transfers to the employee's chosen pension arrangement. The National Labour Court further clarified that according to the provisions of the Supervision Law, not only is the employer not required to intervene in the employee's choice of pension insurance product, but its involvement in choosing the product (even where the employee requests not to be insured under a loss of earning capacity policy) may be considered as harming freedom of choice and amounts to a criminal offence punishable by one year's imprisonment or a fine. Where the employer is involved in the choice of insurance coverage, it may harm not only the employee's autonomy but also his or her privacy. Thus, for example, it is possible that as a result of a health matter (not known to the employer), the pension insurer may refuse to provide cover to the employee or agree to do so only in return for very high premiums. The employee has no reason to provide an explanation to the employer about this and the employer has no right to block the employee's choice as a result. Many companies manage active Facebook pages, which are usually managed by employees, and in some cases, by just one employee. When an employee is given complete independence and when matters are not clarified within a clear agreement, legal questions may arise, revolving around the ownership of the Facebook page and whether it belongs to the employer or the employee. This question was brought before the Regional Labour Court in Tel Aviv in a case involving television show host Guy Lerer and The Zinor, a local television show, which broadcasts and commentates on internet clips.4 In order to determine the right of ownership (in this case whether Guy Lerer owned The Zinor Facebook page), the Labour Court set down a number of guiding questions to be examined, such as: who initiated the activation of the account and why; the degree of correlation between the account and the workplace; who bears the cost of managing the account; who participated in the management of the account in practice; was the account managed and operated in accordance with the employer's instructions and supervision; does the employment agreement include instructions as to the account; and does the workplace have a policy regarding the use of social media accounts. The Labour Court further held that none of these questions stand alone, and the answer to one does not necessarily indicate an overall conclusion; rather the answers to all of the questions will provide a complete picture. After examining the above considerations in relation to the specific case, the Regional Labour Court reached the conclusion that the Facebook page should remain under Guy Lerer's management. In the matter of Fischer Pharmaceutical Industries,5 which was recently heard by the National Labour Court, the Court deliberated an employer's request to obtain location reports of an employee's mobile phone, which was given to the employee by the employer for the performance of his position. This request was submitted as part of discovery, within a claim filed by the employee against the employer for various social benefits, including overtime hours. The National Labour Court ruled in favour of the employer and accepted the request to obtain the mobile phone location report. In doing so, the Court distinguished between this matter and the Issakov ruling (in which the National Labour Court laid down the rules regarding privacy of employees in the workplace and on which the regional labour court mainly based its decision to reject the employer's request). According to the Court, the Issakov ruling is relevant when the employer is interested in putting in place a practice that involves infringing the privacy of employees. However, in the scope of a discovery process, the employer's right to discovery should be specifically weighed against the employee's right to privacy. Accordingly, and in the interest of balance, the Labour Court ruled that the location reports should first be provided to the employee, who may redact surplus information (i.e., information regarding his whereabouts for private matters). Thereafter, following the redaction of private information, the data should be provided to the employer. The National Labour Court has recently ruled that an email sent by an employer to its employees regarding the termination of an employee's contract constituted slander.6 In this matter, the employer sent an email to a number of company employees, following the termination of an employee's contract, which included the employee's name and a description of the disciplinary violations that led to her contract being terminated. The Court held that the message constituted slander owing to its personal nature, the exaggerated and inaccurate nature in which it was drafted, and the potential distribution of the message. The Court ruled that the employer was required to pay compensation of 27,000 shekels for violation of the Prohibition of Defamation Law. According to the National Labour Court's ruling, even if the message had been accurate, the email would have been considered slander, as its contents included information that could humiliate the employee. The National Labour Court emphasised that there is no public interest in publishing the information and, therefore, no defence applies. In a series of rulings, the National Labour Court has shed additional light on the many open questions in relation to the implementation of the Equal Opportunities for Individuals with Disabilities Law 1998. In the matter of Copolac,7 the court discussed the scope of accommodation that an employer is required to make, and when this accommodation would be considered an excessive burden (as defined by law). In this matter, a production employee was injured at work. Following an absence, his physician informed the company that he can only work during certain hours, and can no longer lift heavy weights. As lifting was a large portion of his position, and as there were no alternative positions available, the company put him on unpaid leave until he would able to fulfil his position. The National Labour Court ruled that employers have a positive and active obligation to create conditions that will enable the employment of employees with disabilities and their promotion at the workplace. The Court further ruled that accommodating employees with disabilities is not an act of kindness on the employer's part, but rather a requirement that they revisit their structures, policies, norms and practices at the workplace. In relation to the scope of accommodation that employers are required to make, the Court ruled that: the scope of possibilities for accommodation is unlimited; and employers must be able to demonstrate that they made sincere efforts to locate and provide the necessary accommodation to enable the integration of the disabled individual, otherwise they will be considered as having discriminated against the individual. Employers are expected to use the services of an expert to integrate individuals with disabilities, in order to ensure that they have explored all of the options. 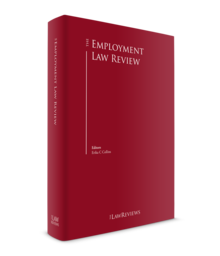 The Court stated that there is no rule of thumb to determine what would constitute an excessive burden on the employer in this respect. This will be determined case by case by examining the cost of the accommodation; whether it is a one-off or ongoing cost; the number of employees at the workplace and the position of the employee in question; the meaning of the cost in relation to the size of the employer, its scope of activity and revenue cycle; whether the employer is from the private or public sector; whether the employee in question is a new or existing employee with an extensive length of service; any inconvenience or burden that may be borne by other employees; whether outside funding was sought; and whether the employer previously invested money for accommodation. Even if an employer reaches the conclusion that it cannot practically implement the limitations prescribed by an occupational physician, it is expected to question its own conclusions and turn to a suitable professional before reaching a final decision. Generally, Israeli law does not require a written employment contract, subject to certain exceptions. However, employers are required to provide new employees (and existing employees upon their request) with a written notification form regarding certain employment terms and to update them in writing regarding any changes to them, as detailed in the Notice to Employee and Job Candidate Law (Employment Conditions and Candidate Screening and Selection), 5762-2002 and the relevant regulations. An employer is not obligated to provide such notification if the employee is provided with a written employment agreement that includes all the required details. Employment contracts may be for a fixed term or an indefinite term, at the parties' discretion. The termination of a fixed-term contract, prior to its expiration, may entitle the other party to damages in the amount of the salary for the remaining term. Probationary periods are permitted by Israeli law, but during such time, an employee would still be considered a regular employee for all intents and purposes. The minimum statutory written prior notice for a monthly employee8 is one day for each month during the first six months of employment, and two-and-a-half days for every additional month. A monthly employee who has worked for a year or more is entitled to one month's prior notice. In general, a foreign company can hire employees directly in Israel without being required to officially register a subsidiary company or have a registered branch in Israel. However, it will be required to be registered with the tax authorities as an employer. A foreign company can also engage individuals as independent contractors or as service providers through manpower companies or service contractors. In principle, a foreign employer who employs employees directly is required to comply with local employment legislation. In addition, the foreign company has withholding obligations to the tax authorities as the employment income is subject to income tax, social security contributions and health tax. Generally, the engagement of individuals (whether as independent contractors or as employees) by a foreign company may create a permanent establishment exposure to that company in Israel. The main outcome of this exposure is that amounts attributed to the Israeli permanent establishment will be subject to Israeli corporate tax. Non-compete restrictions during and after the employment relationship are common in employment agreements. During the employment period, limitations imposed by an employer on an employee's freedom of work are likely to be enforced, if the employee is in a full-time position. when balancing the employee's conduct and good faith in taking the new position and his or her obligation of fidelity towards the former employer, the non-compete covenant can be justified. The issue of working hours and overtime is governed by the Hours of Work and Rest Law, and additional legislative sources, such as extension orders. As mentioned in Section II.i, the Hours of Work and Rest Law was amended in April 2018, and in effect shortened the workday, which now consists of 8.6 hours per day on four weekdays and 7.6 hours a day on one workday of the employer's choice (which should take into account the employee's request), amounting to 42 hours per week and 182 hours per month. According to this Law, night work is defined as a minimum of two hours' work between 10pm and 6am. Night work must not exceed seven hours (not including overtime), and an employee must not carry out night work for more than one week in every two. There are limits to the amount of overtime that may be performed in a given period, other than for employees who are excluded from the Hours of Work and Rest Law (under exceptional circumstances). Overtime compensation must be paid after working 8.6 hours per day (or 7.6 hours on the relevant shortened day) or 42 hours per week. For the first two hours of overtime, an additional 25 per cent is paid per hour, and for the third hour of overtime and thereafter, an additional 50 per cent per hour. Where a business operates a six-day working week, employees may work up to 12 hours' overtime per week; and where a business operates a five-day working week, employees may work up to 16 hours' overtime per week. the employer has a permit to employ a foreign employee who has a visa based on this permit. The permit is usually issued for 12 months and can be extended, subject to the discretion of the relevant authorities, for additional 12-month periods, up to a maximum of five years and three months. Permits can also be issued for periods of up to 45 days, three months or two years. his or her monthly salary shall not be less than twice the average salary in Israel (approximately US$5,500 per month). An employer may employ an unrestricted number of foreign employees who do not require a permit. There is no limitation on the number of permits that can be applied for by the employer. However, the authorities will take into consideration the number of foreign employees employed by the employer compared to the total number of its employees. Employment of foreign employees in Israel is subject to local labour legislation, including collective agreements (when applicable), and extension orders. The duties of employers employing foreign workers include providing medical insurance for the foreign employee, and in some cases accommodation. In addition, the employment can be subject to a special tax in which the employer should pay up to 20 per cent tax in addition to the taxes which apply to any employee, except in certain cases, such as where the employee earns more than double the average salary in Israel. There is no mandatory requirement for applying disciplinary rules. However, such rules are quite common in unionised workplaces (as part of a collective agreement with the employee representative committee) and in companies that are subject to global policies in light of being part of a group of companies. Disciplinary rules are regarded as part of the employee's terms of employment. There are mandatory rules and policies that an employer is required to adopt, such as the model rules for the prevention of sexual harassment according to the Prevention of Sexual Harassment Regulations 5758-1998. In general, disciplinary rules are not required to be filed with or approved by any government authorities, but they should comply with applicable law and general legal principles. Generally, in order for disciplinary rules to apply to employees, the employees should consent to them, either explicitly or implicitly. It is recommended that the employer's rules be accessible to the employees (such as on the employer's bulletin board or intranet site) to reduce claims that the employees were not aware of them (or any amendment to them). Disciplinary rules are not required to be written in the local language. However, they should be in a language that the employees understand. There is no requirement that employment contracts be written in any specific language, as long as the employee understands the language (except with regard to foreign employees, where the Foreign Employees Law 5751-1991 expressly provides that the employment contract should be written in a language the employee can understand). In this respect, it is common for global companies to provide employment-related documents (including employment contracts and confidentiality agreements) in English, mainly for them to be understood by the company's management abroad. There is no clear recommendation on whether or not to provide employment documents in Hebrew, and the decision usually depends on the employees in the company and the extent of their knowledge of the foreign language. Providing employees with employment-related documents in a language they do not understand may result in employees claiming that they are not subject to their terms (as they did not understand them), and may impact the employer's ability to enforce them. Employees are permitted, but not required, to establish a union if none currently exists. The right of unionisation is regarded as a fundamental right of employees. For the purpose of defining the representative organisation in the workplace, the general rule is that in a specific workplace there should be one 'bargaining unit', meaning that at least one-third of the total employees are members of the union. Splitting the natural bargaining unit can be done consensually by the bargaining parties – the union and the employer. The election procedures for representatives are set out in the articles of association of each union or employee committee. The length of the term of the representative committee may change from one committee to another, in accordance with its articles of association. the trade union can also potentially declare a work dispute and initiate a strike (see below). The law stipulates that the employer has an obligation to negotiate with the union in the initial stages of its formation in the workplace, with respect to any of the following: hiring and firing; termination of employment; employment terms and conditions; and the rights and obligations of the trade union. The law, however, emphasises that this requirement does not obligate the employer to sign a collective bargaining agreement with the trade union, but rather solely requires the employer to negotiate with the union. In workplaces in which collective relations are already established, the employer is obligated to negotiate with the representative trade union with respect to various specific employment matters, including the engagement, termination and terms of employment. To the extent that the employer does not respond to the employees' demands and refuses to sign a collective bargaining agreement, the trade union can potentially declare a work dispute and initiate a strike. The Privacy Law 5741-1981 (the Privacy Law) regulates the matter of databases and their registration. The Privacy Law defines a database as 'a collection of data, maintained by magnetic or optical means and intended for computer processing'. Data is defined under the Privacy Law as 'information about an individual's personality, personal status, intimate affairs, health condition, financial condition, professional qualifications, opinions or beliefs'. is used for direct mailing. Human resource databases in workplaces are generally considered to include sensitive information and, consequently, should be registered according to the Privacy Law. In addition, no person may use the information in a registered database except for the purposes for which it was established. Under the Privacy Law, the owner of a database, the holder of a database and the manager of a database are each individually responsible for the protection of the data in the database. The Privacy Law defines data protection as protection of the integrity of the data, or protection of the data against exposure, use or copying, all when done without due permission. It is customary to limit access to a database to individuals who have reasonable needs to use the information included in the database. On 8 May 2018, the Protection of Privacy Regulations (Data Security) 5777-2017 came into force. These Regulations establish a broad and comprehensive arrangement regarding the physical and logical protection of databases and their management. The export of data outside Israel from a database within Israel is regulated by the Protection of Privacy Regulations (Transfer of Information to a Database Outside the State Borders) 5761-2001. The regulations prohibit the transfer of data from a database in Israel to a database located abroad, unless the receiving country ensures a level of protection of data that is not lower than the protection provided for under Israeli law. In addition, the regulations lay down conditions that enable the transfer of data from a database in Israel to a database abroad, even when the overseas law provides a level of protection that falls below that which is provided under Israeli law. The conditions include, for example, obtaining the individual's consent to the transfer of the data and that the data is transferred to someone who has agreed to fulfil the conditions laid down in Israel. In addition to the conditions, the regulations state that the owner of the database must ensure (by way of written obligation), that the recipient takes steps to ensure privacy of data subjects, and that the data shall not be transferred to any other person. Accordingly, onward transfer of information to a third party is not permitted, unless the owner of the database entered into a direct agreement with such third party, which includes, inter alia, the above requirements. Under the Privacy Law, sensitive data is defined as 'data on a person's personality, intimate (i.e., private) affairs, state of health, financial conditions, opinions and beliefs'. Sensitive data is interpreted very broadly by the Israeli courts, as encompassing types of personal information that are not specifically mentioned in the definition of data or sensitive data, all depending on the specific circumstances of the matter. If the company maintains sensitive data by electronic means for processing, it is required to register a database. Candidate background checks must respect the individual's right to privacy, and be reasonable, relevant, proportionate and carried out in good faith. For publicly available information, there is no specific requirement for obtaining an individual's consent. For non-public information, the need for prior written notice and informed consent depends on the circumstances. Requesting information with respect to protected criteria under the Employment Equal Opportunities Law 5848-1988 (e.g., regarding race, gender, age, religion) will usually shift the burden of proof to the company in the event of a discrimination claim, to show that it did not unlawfully take into account any such protected criteria in making the employment decision. Criminal background checks are generally not permitted. Even requesting a candidate to provide a declaration about his or her criminal history is regarded as unlawfully circumventing the legislation, unless the employer specifies which types of offences or investigations it requires information on, and demonstrates that this is relevant for the position in the circumstances. According to the Credit Information Services Law 5762-2002, an employer is entitled to receive a report regarding a candidate's credit information from a licensed authority, for employment purposes where relevant to the position. There is only a need to notify the candidate if the employer decides, based on the credit report, not to hire him or her. However, it is expected that, on 12 April 2019, a new Credit Data Law (which was enacted in 2016) will come into force (the New Credit Law), which completely prohibits the employer from requesting or obtaining information regarding credit data and credit rating for purposes of employment, including through a questionnaire or declaration from the candidate. The New Credit Law also provides that the courts will have the power to oblige a person who requested or received credit data information in violation of the provisions, to pay the candidate compensation without proof of damage. The New Credit Law is expected to replace the 2002 law. It is forbidden to request information regarding military and genetic profiles. As a general rule, employers must exercise their right to terminate an employee's employment in good faith, for valid reasons,16 and in compliance with applicable laws, any written employment contracts, workplace customs, and collective bargaining agreements or extension orders, if applicable. In addition, according to court decisions, all employers are required to hold a hearing prior to making a decision regarding the termination of employment. The purpose of the hearing is to inform the employee of the employer's reason and give him or her the opportunity to respond. A hearing is required in all circumstances, regardless of whether the dismissal is based on redundancy, poor performance or misconduct. In workplaces where collective relations exist, or a collective bargaining agreement or extension order applies, the process of termination, which is often included therein, usually involves the participation of employee representatives. In general, employees are not entitled to a social plan or rehire rights by law. According to some court decisions, in certain circumstances, prior to making a decision regarding termination of employment, employers are required to consider whether they can offer the employee an alternative position within the workplace. Under Prior Notice Before Termination Law 5761-2001 employers must provide the employee with prior written notice when ending the employment relationship. An employer may choose to pay the employee in lieu of notice. Payment in lieu is equal to the salary the employee would have received, had the employee continued to work throughout the notice period. Under the Severance Pay Law 5723-1963, an employee who is dismissed after completing at least one year's service is entitled to statutory severance pay. This is calculated based on the employee's monthly base salary multiplied by the number of years of service. In general, employees can compromise contractual payments or benefits only if these entitlements are over and above statutory entitlements. the employee signed the release of his or her own free will and not owing to coercion by the employer. As a general rule, Israeli case law requires an employer to inform and consult with employees with respect to redundancies. However, the law does not specify the form, timetable or content of these obligations. If a collective bargaining agreement, or any other binding legal document, applies to the affected employees, it may set out specific procedures for redundancies, including the bodies the employer must consult. In the absence of specific provisions, there is a general duty to carry out consultation in good faith before any final decisions are made. In general, the employees should be provided with relevant information regarding the anticipated dismissals, such as general information regarding the financial situation of the employer when the redundancies need to take place owing to lack of profit. In practice, the obligation to inform and consult with employees is only practical where an employee representative body exists and can therefore be consulted. The obligation to inform and consult with employees does not detract from the employer's general obligations with respect to the termination of employment, including holding personal hearings with each employee (see subsection i). Thus, employees whose contracts are terminated by reason of redundancy have the same personal rights as any other employee whose employment is terminated. There are no regulations in Israel in the style of the Transfer of Undertakings (Protection of Employment) Regulations 2006. In principle, an employee cannot be transferred to another employer without his or her consent. Therefore, if an employee does not consent to the transfer, the seller would either continue the employment of the employee or terminate the employee's employment. 'continuity of rights', in which the buyer 'steps into' the seller's position as employer for all intents and purposes. In such circumstances, subject to the employees' consent to the transfer, the buyer assumes all the seller's obligations towards the employees while maintaining their rights and entitlements. When there is an active union or works council at the workplace, employers need to inform employees about the forthcoming change, and consult and negotiate with regard to their employment terms after such change. As is clear from Sections II and III, employers in Israel are facing a range of new challenges as a result of increasing regulation, whether introduced by way of legislation, the extension of collective agreements to the entire Israeli market or from the impact of judicial decisions. Following the Landsberg matter, as detailed in Section II.ii, which dealt with employee freedom of choice in relation to pension savings, we anticipate the further elimination of employer involvement in employees' choices, both with respect to pension savings and in general, in order to strengthen employees' freedom of choice with regard to matters relating to the workplace. In a series of court rulings, the courts have broadened employer responsibility and liability towards their employees and service providers. This responsibility has been demonstrated in the court requiring employers to make every effort to avoid the dismissal of employees with disabilities, and to diligently and actively try to locate alternative positions for employees being made redundant, especially when such employees are close to retirement age. This ruling has followed rulings in other areas of employment, such as towards service providers, and the labour courts' decisions to broaden the scope of duties of the actual users of services, towards the contractors' service providers. We expect that this trend will continue, as the labour courts believe that employers have an increased duty of good faith to their employees within the context of employment relations. The year 2018 saw many amendments to the Hours of Work Law, which was originally enacted in 1951. We anticipate that the law will continue to undergo amendments, to strengthen the right to rest times in general, and specifically the weekly rest. The passing years have highlighted a growing trend to prevent general abuse in the workplace (as distinct from abuse related to sexual harassment or to whistle-blowers, which was already lawfully recognised). The legislature has raised several bills that aim to regulate the matter and ensure the prevention of workplace abuse, and is currently considering the adoption of the Law for the Prevention of Abuse in the Workplace. The pending law, which does not seem to be progressing in the enactment process, defines abuse in the workplace very widely, as: 'recurring behaviour towards a person, on several different occasions, which creates a hostile work environment for such person'. According to the pending law, employers are obligated to take reasonable action in order to prevent abuse in the workplace, such as define an effective way to submit complaints and effective treatments for such cases. Despite the apparent halt in the enactment process, the labour courts (in a series of rulings) have found a way to adopt the principles of the pending law, and implement them, mainly on the basis of general principles, such as an employer's obligation to act in good faith and an employee's fundamental right to dignity. It seems that the labour courts are trying to find the necessary legal framework to rule in such claims, regardless of the official adoption of the law. For example, a regional labour court has ruled in favour of a plaintiff, granting material compensation to an employee, on account of grief owing to an offensive work environment. The court stated that an employer is obligated to provide a suitable work environment for its employees. The court described a pressured, disciplinary and generally violent work environment, in which the employees were often reprimanded and insulted, and ruled that this type of environment establishes the grounds for a claim of abuse in the workplace, despite the fact that the law has yet to be enacted. Additional aspects that contributed to this specific work environment becoming abusive are the fact that the employees did not have clear working hours and that there was a high turnover of employees (owing to their inability to handle the work conditions). 1 Orly Gerbi is a senior partner, Maayan Hammer-Tzeelon and Nir Gal are partners, and Marian Fertleman and Keren Assaf are senior associates, at Herzog Fox & Neeman. 2 National Labour Court Appeal 7243-10-15 Lilian Landsberg v. Gal Rob Consultants Ltd.
3 For context, a General Approval issued by the Minister of Economy based on Section 14 of the Severance Pay Law 5723-1963, provides for a unique arrangement (the Section 14 Arrangement), which will only be valid if it is specifically adopted by the parties, and complies with the required conditions specified in the General Approval, which include making the pension contributions at certain rates, in accordance with the Extension Order. According to the Section 14 Arrangement, the amounts accumulated in the severance fund of the employee's pension arrangement are paid in full satisfaction of the employer's statutory severance pay obligation (which is one months' salary, as at the time of termination, multiplied by the number of years of service) – that is, at the time of termination of employment, the employer is only required to release the amount accrued in the severance fund and is not be liable for any shortfall. However, under this arrangement, the employer undertakes that the amounts accumulated in the severance fund will be released to the employee in any event that the employment relationship comes to an end, including where the employee resigns (which would generally not entitle an employee to severance pay, other than in exceptional cases). 4 Judge Labour Dispute (Regional Tel Aviv) 46976-09-17 The New Channel 10 Ltd v. Guy Lerer (published in Nevo, 22 April 2018). 5 Labour Appeal (National) 40111-04-17 Fischer Pharmaceutical Industries Limited v. Avraham Shateter (published in Nevo, 4 March 2018). 6 Labour Appeal (National) 36064-09-16 Israir Airlines and Tourism Ltd v. Sigal Shimon (published in Nevo, 3 June 2018). 7 Labour Appeal 61235-02-17, Copolac (1949) Ltd v. Michael Hananshvili (published in Nevo, 16 October 2018). 8 Under the Prior Notice of Termination Law 5761-2001, a monthly employee is an employee whose remuneration for work is mainly paid on a monthly basis. 9 See, for example: ASK 56412-01-17 Kobi Shimoni v. Israel Railways Ltd (6 September 2017). 10 LA 164/99 Frumer v. Radguard Ltd PDA 34, 294 (1999); CA 6601/96 AES Sys Inc v. Saar PDI 54 (3), 85 (2000). 11 LA 164/99 Frumer v. Radguard Ltd PDA 34, 294 (1999). 12 CA 6601/96 AES Sys Inc v. Saar PDI 54 (3), 85 (2000). 13 Pelephone decision: New General Workers' Union v. Pelephone Communications Ltd (2 January 2013) 25476-09-12. A motion to the HCJ was rejected. 14 McDonald's decision; New General Workers' Union and other v. Alonyal Ltd and other – 31826-10-14 – 6 May 2015. 15 An appeal on the McDonald's decision served by the workers union was removed without prejudice, and without the National Labour Court expressing its opinion on the Regional Labour Court's decision (ASK 40548-05-15 New General Workers' Organization v. Alonyal Ltd (24 November 2015). 16 Valid reasons for dismissal may include poor performance, redundancy and disciplinary action. 17 Ministerial approvals for the termination may be obtained in certain circumstances if the employer demonstrates that the termination is not the result of the special circumstances of the employee (e.g., the employee being pregnant). 18 Employment of Women Law 5714-1954; Ministerial approval is required for all the above-mentioned groups. 19 The Discharged Soldiers (Reinstatement in Employment) Law 5709-1949. In general, unless a ministerial permit is granted in advance, the termination of an employee's employment during military reserve service is prohibited, as is termination within 30 days of reserve service lasting longer than two days. 20 Under Sick Pay Law 5736-1976, employers are prohibited from terminating the employment of an employee who is absent from work owing to an illness during the period in which the employee is utilising his or her accumulated sick leave. 21 LA 28597-03-11 Dabush v. Yardeni Locks Holdings (2005) Ltd (11 February 2015).